In preparation for the full review of the new BlackBerry Curve 9320 here at CrackBerry, we thought we would give you a little teaser of what's to come. Although I am not doing the full review myself, I felt that a UK perspective on RIM's latest creation wouldn't do any harm. Let's face it, here in Great Britain the BlackBerry has been the country's best selling smartphone for the last two consecutive years, and a big part of those sales are due to the Curve lineup of the 8520 and 9300. The 8520 is pretty ancient now and although the 9300 was upgradable to BlackBerry 6 that too is now running an out of date operating system. So that's where the new guy steps in. No, not me ... I meant the Curve 9320. With some improvements in hardware over its predecessors -- such as a bigger battery, more ROM and RAM -- and along with a better camera, it is a welcomed addition to the BlackBerry lineup. However, it is the OS where things have really stepped up. 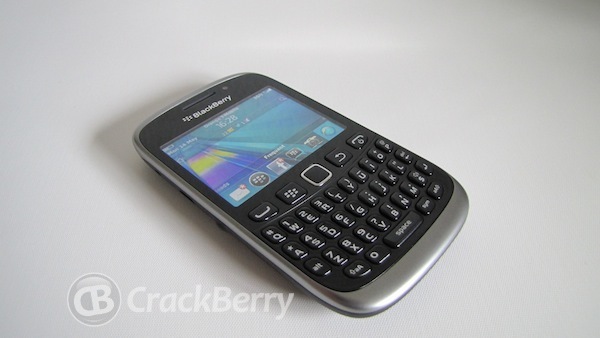 The Curve 9320 is running BlackBerry 7.1, the same version of software as on the new Bold, Torch and Curve 9350/60/70, whoop! What this gives the consumer is a smooth and efficient BlackBerry experience without breaking the bank. Here in the UK the Curve 9320 is priced at a real sweet spot. SIM free you can pick up the device for only £130, and for free on a two year contract from as little as £10.50 per month. On pay as you go the BlackBerry Internet Service is still only £5 per month offering great value for money. 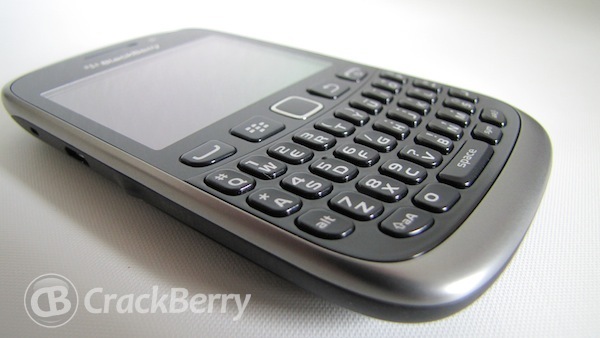 When it comes to a BlackBerry a big part of the ‘addiction' is the hardware QWERTY keyboard. The same keyboard as previous Curve's has been retained so accurate power typing is still a big selling point. An extra added feature with the new Curve is the dedicated BBM key. This is really just the left side convenience key but RIM have not only set it by default to open BBM, but in addition have added the letters BBM next to the key. A nice touch in my opinion. Research in Motion are quite clearly aiming to not only retain current Curve users but to also sweep up those people buying their ‘first smartphone' . After spending a week with the device I am in no doubt that RIM stand every chance of achieving both of these aims but this will also be reliable on some marketing. The marketing has kicked off in the last week or so. You have seen RIM's new TV advert here on CrackBerry.com and although it doesn't mention the Curve, or an other specific device, RIM are going to push the whole BlackBerry 7 thing rather than handsets themselves. What the carriers do is up to them I suppose and we may well see billboard posters etc trying to sell the 9320. So am I impressed with the Curve 9320? I sure am. It may not be the best BlackBerry, but it isn't meant to be. What is does do is give those people on a budget the perfect BlackBerry experience allowing them to be productive and social with ease of use. Nice one RIM, good job. Watch out for the full review here on CrackBerry coming up soon!